You may have read our blog Style Your Flora’s: Find Your Perfect Spring/ Summer Arrangement to help you pick out the very best colour scheme and flower arrangement to match and contrast with your office decor. Being one of the leading providers of corporate flowers in London, we know how flowers can be used to brighten up, and bring life into the home and workplace. Bringing a little bit of nature into an office can help to make it feel homely, welcoming and warm. While your plants and bouquets work hard showing off their bold, subtle and deep colours to your customers and clients, what could you be doing? How could you help them achieve their full potential and cater for the atmosphere you want to create? Well it’s all down to how you present them. For the leafy plants used as features or fillers in your office, a tall vase is highly recommended; if not for its appearance, than at least for its practicality. A large plant will weigh more and, as bushes and small tree-like plants are soil based, they need a good, healthy base to help them take root and thrive. As a client, you don’t want to walk into a business and find dying plants littering the corners; if you can’t look after your plants, what makes the client believe you can take care of them? 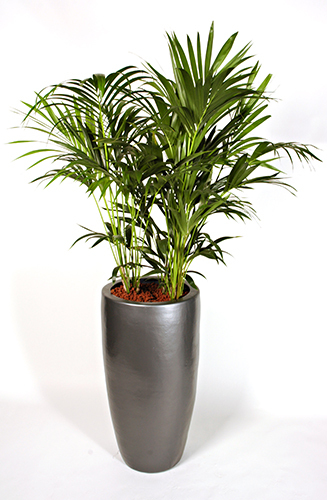 As leafy plants are usually quite plain, a tall vase adds that little bit of design to its overall appearance, showing off the vibrant greens and browns whilst offering it a sturdy pot to live in. It’s important to find a way of presenting your plants and flowers that both reflects the atmosphere you’re trying to create, as well as displaying the plant at its full potential. 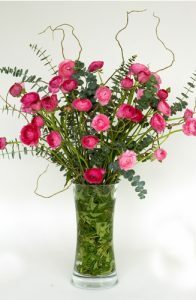 While tall, bush like plants benefit from a tall vase, smaller shrubbery and robust leaves can benefit from desk and table top vases, leaving the entire focus on the arrangement of your flowers. 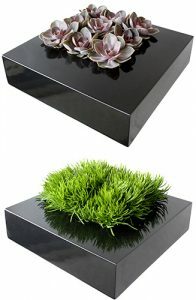 This simplistic design acts to include a splash of sophistication to an office, focusing on a more minimalist approach rather than boasting a fancy base and bright, bold buds. Similar to square vases, the box vase focuses on enhancing the flower heads, diverting attention entirely from tangled stems and messy leaves, and instead bringing forth the main attraction of any flower. This classy vase acts as a great space filler or table feature – simple and stunning, its smoother edges reduce any harsh contrasts between plant and vase and instead becomes part of the overall bouquet. Coloured vases have been used for generations. Whether they’re simply pot or ceramic adorned with elegantly curving, painted images of flowers, or maybe even block, opaque colours. Coloured vases are perfect if you’re wishing to experiment with different levels of your office. 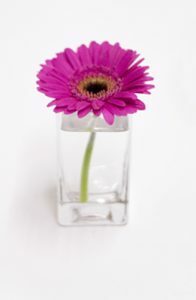 In contrast to a coloured vase, a clear, glass vase works to adjust to the space it’s provided. A transparent vase not only adapts to its surroundings, making a small room seem a little less crowded and a large room as clear and tidy as a coloured vase. 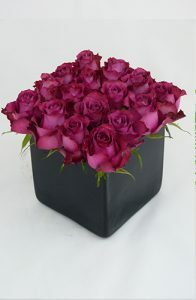 It also enhances the natural beauty of the flowers, showing off your floral arrangement at its very best. The beauty of a glass vase is unparallel to any other. It fits in with any office design, allowing all attention to be focused on the bold, arrangement it holds without drawing attention away from your company. 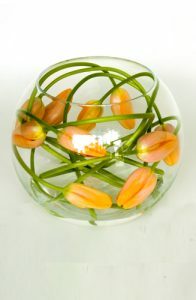 For a more simplistic look, these dainty glass vases make a beautiful centrepiece, holding a single stem flower within. 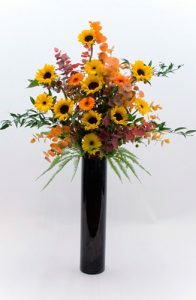 Arranging your flowers in a bowl vase gives a robust image to your office. The unique shape will stand out from the rest of your workplace and business furniture and add a wholesome feel to any aspect of your industry. Whether that’s in the lobby or in a particular room, a bowl fits in nicely with its surroundings. If you want to create the best possible atmosphere for your corporate business, presentation is everything. Not only does great presentation stand out, but it also shows potential and current clients that you have an eye for detail. If you’re interested in showing your clients your stunning floral arrangements, our corporate flowers are perfect for you, simply contact us today on 0208 968 8190 to find out all we have to offer.